With seven deaths, 31 suffering kidney failure, 159 hospitalised and at least 339 Americans and Canadians sickened since 2017 after eating romaine lettuce contaminated with E. coli, news of a faster E. coli test is welcome. Western University, Ontario, has developed a kit that detects a protein unique to the pathogenic E. coli O157 bacteria and, using flow through technology, is able show results in hours rather than days. Food samples to be tested are incubated for a few hours then a sample is placed on a pad. After 15 minutes, the pad displays one red line to show it worked properly — and a second if the sample contains E. coli O157; much like how pregnancy tests show their results. The developers claim their kit also makes the process of testing for E. coli O157 cheaper than existing technology, which could make smaller-scale producers more amenable to testing their products. Current food testing methods for E. coli typically rely on culture and by the time results are available some days later fresh produce has been shipped to retailers, sold and eaten. With results available in hours, rather than days or weeks, this new test will enable food processors to ensure food is uncontaminated before it is shipped. Use of a cheaper, rapid test will mean processors can test more frequently. 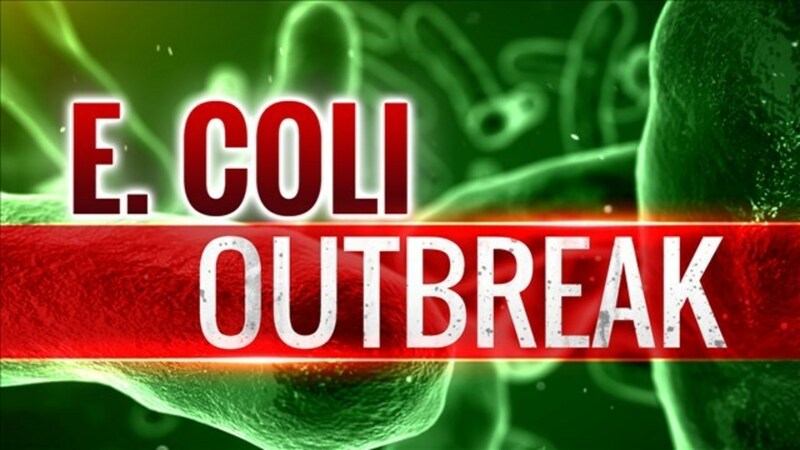 A common source of E. coli illness is raw fruits and vegetables that have come in contact with faeces from infected animals. Leafy greens, such as lettuce, can become contaminated in the field by soil, water, animals or improperly composted manure. Lettuce can also be infected by bacteria during and after harvest from handling, storing and transporting the produce. Contamination in lettuce is also possible at the retail environment, in the refrigerator or from counters and cutting boards through cross-contamination with bacteria from raw meat, poultry or seafood. Since 1 April 2017, the Canadian Food Inspection Agency has tested more than 2000 samples of imported fresh vegetables and salads, including romaine lettuce and pre-packaged salads containing romaine lettuce, as part of its regular microbiological surveillance program. None of these samples have proven positive for E. coli O157. This means that contamination levels are low and most romaine lettuces are uncontaminated, but the real need is to identify those lettuces that are contaminated. More tests, with low cost but high accuracy, will help public health officials and produce marketers weed out the affected produce. Western’s new test will be invaluable in this circumstance. In his blog Publisher’s Platform: How does this “Romaine” acceptable?, Bill Marler asks: “What will growers, processors, shippers, grocery stores, restaurants, consumers, regulators, and politicians do? Good readers – ideas?”. Possibly the best response was from Sue: “This should fix it: Move the growers’ focus from their wallets (greed) to their amygdala (fear.) Host a weekly luncheon for all Western Growers executives - attendance mandatory. Menu: Giant Caesar salad made with romaine lettuce from each grower. Eat it or close down. The rapid test was developed at Western University’s Schulich School of Medicine & Dentistry and Robarts Research Institute with support from Mitacs, a federal non-profit that encourages academic and industrial collaboration with the food industry.